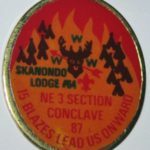 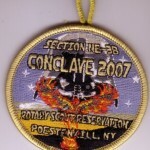 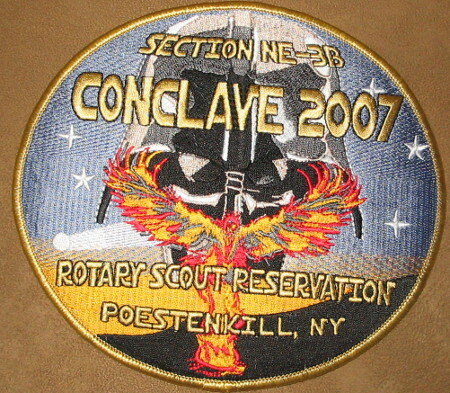 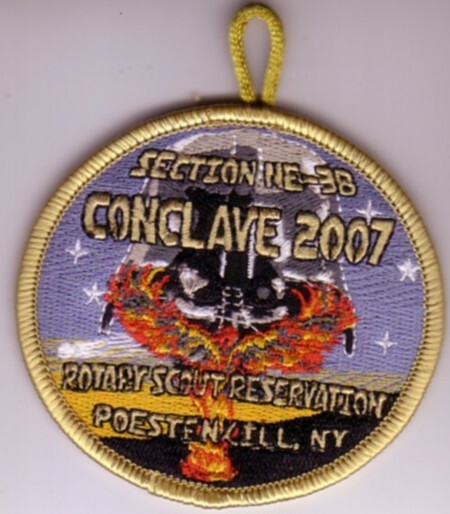 Back in November 2007, I wrote about the 2007 Section NE-3B Conclave which was held at Camp Rotary. 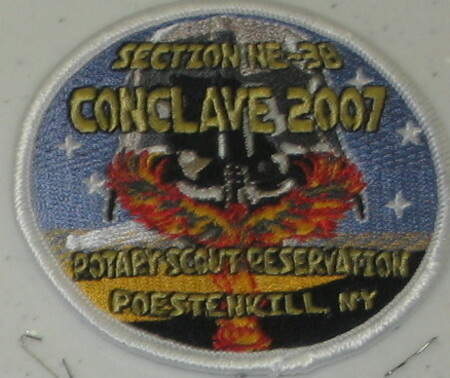 I’ve since been able to add images of several more issues from that event. 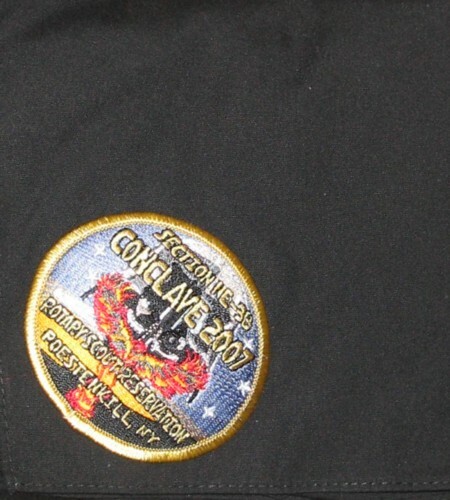 I believe that this was the staff version. 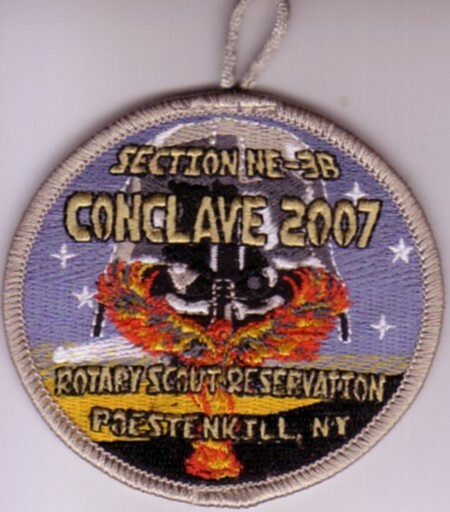 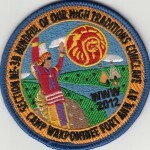 Section NE-3B had a tradition of awarding the lodge with the highest percentage participation a different border color pocket patch. 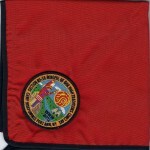 This is currently a need of mine if anyone has one available.